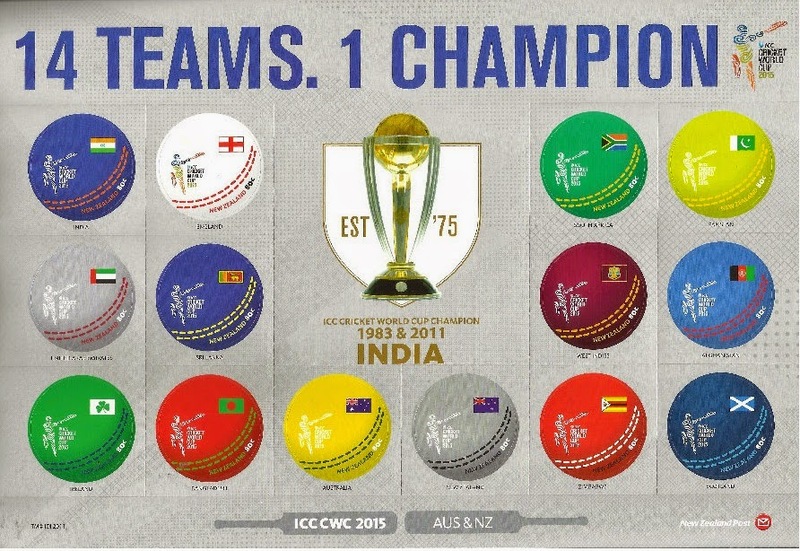 The New Zealand postal department has released the ICC Cricket World Cup 2015 stamps, of which the Indian postal department has procured over 1 lakh souvenir sheets.The stamp sheet which has been titled '14 Teams, One Champion' also bears the official 2015 Cricket World Cup logo in the centre. The set of stamps consists of 14 cricket ball-shaped stamps, representing the teams playing for the World Cup. For Indian cricket fans, there's a cherry on the cake. The New Zealand postal department has customised the sheets sent to India. Just below the World Cup trophy, it reads 'ICC Cricket World Cup Champion 1983 & 2011- India'. If you don't want to go to a post office or find that the post office has run out of stock, don't worry - the stamps are available online as well ! All you need to do is log in to https://www.epostoffice.gov.in/ and order the World Cup stamp online.